Baci di Ricotta... sounds so incredibly luscious and Mediterranean. 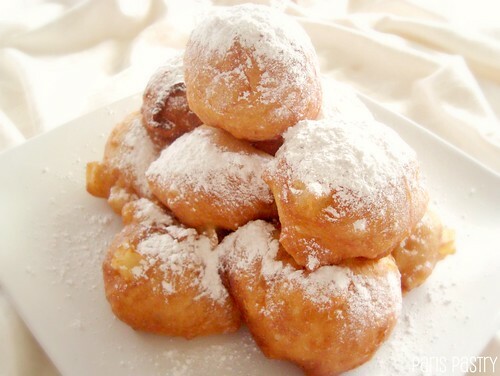 Truth is, in the Netherlands these are called oliebollen meaning oilballs and basically consists of fried dough. Not so glamorous. It's tradition to eat them on New Year's eve and I've been making them every year on December 31th since the end of time. No. Maybe six years in a row. I ate shared a funnel cake in Disneyworld a few years ago, see here. And to shake things up this New Year's eve - and also to use a more appealing name than "oilballs" - I used Nigella Lawson's recipe baci di ricotta or ricotta kisses in Italian. She writes about them: “I don't deny that having to stand stoveside frying 30 teaspoons of ricotta at the end of dinner is a slight drawback, but these are so good, I really do think it's worth it.” Agreed! Rating: 5 out of 5. - Put the ricotta and eggs into a bowl and beat until smooth. Add the flour, baking powder, salt, cinnamon, sugar and vanilla extract. Add filling, if using any. Beat the mixture to make a smooth batter. - Fill a wide, shallow pan with about 2cm of oil. Heat the pan of oil until a tiny blob of batter sizzles when dropped into the hot fat. - Drop rounded teaspoons of the ricotta batter into the pan, about five or six at a time; don't be tempted to make them bigger, boring though this is, they will puff up on cooking. You need to turn them over quite quickly so it's best to do a few at a time. You don't want to get too frantic around all that hot fat. As they turn a golden brown, flip them over and leave them for a minute or so on the other side. 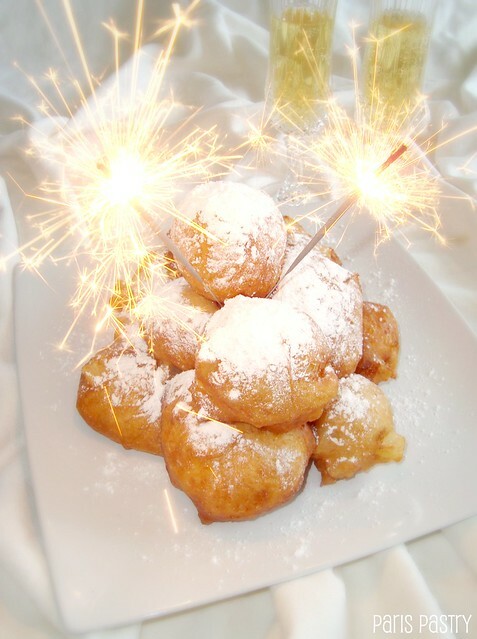 I love the smell of funnel cakes :) these little things look so cute, and I love your photo of the sparklers in bewtween the individual cakes. A little late, I know, but Happy New Year! 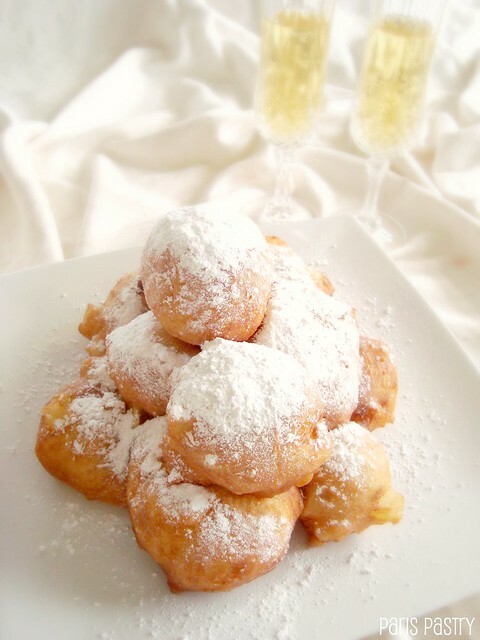 They sound like beignets, yummy New Orleans treat. 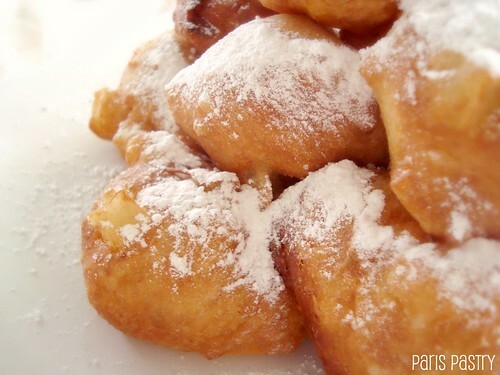 I've never made them from scratch, I use the Cafe Du Monde box mix. They are a bit time consuming even from the box, but sooooo delish! I think I'll try them from scratch too. Everyone in The Netherlands eats them at New Year's eve. It is a true tradition and so delicious I have never heard of a version with ricotta, sounds delicious though! If you want an original dutch recipe, just let me know! @ Rene Koop: Ja lekker he! Ieder jaar weer :) Ik vond het eens leuk om een ander recept te proberen. Het was zeer geslaagd!